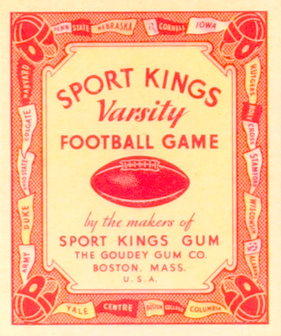 While best-known today for their baseball cards, Goudey introduced several successful gum-and-card sets in 1933, including the multi-sport Sport Kings Gum. 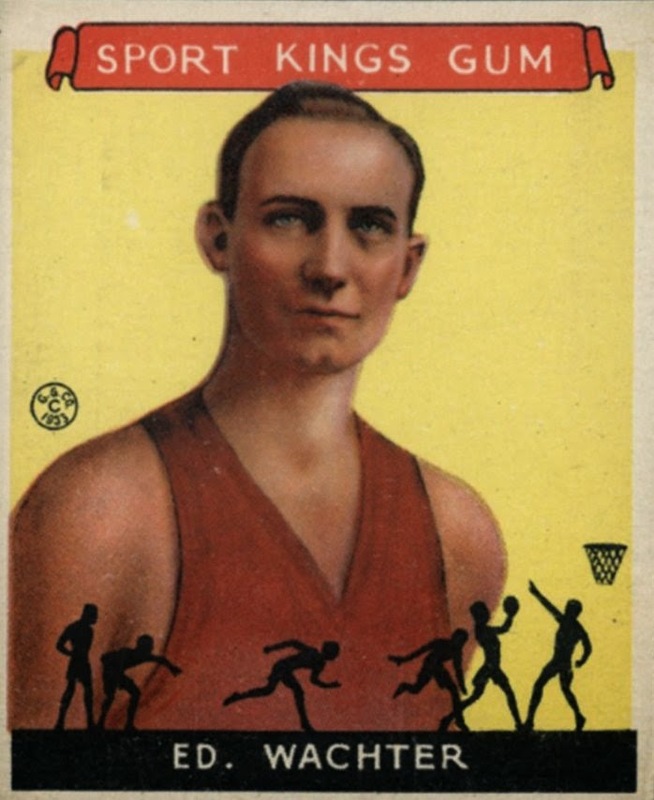 This 48-card set covered a remarkable 20 different sports, an amalgam spurred by the massive promotional success of 1933's baseball All-Star Game, which raised sports fan interest across the board. To put yourself in the shoes of a 1930s gum buyer, "baseball cards" had nowhere near the significance we attach to them now, but trading cards in general were popular, so almost any topic was open for co-marketing. As the school year began, Goudey created this card-flipping college football game as an in-store promotion to keep sales moving for Sport Kings Gum itself. The lack of specific players makes this set more about the colleges themselves. As of 2014, 119 NCAA schools compete at the I-A level. Compare that to 1933's list of school pennants on each Goudey card, which number fewer than 20. While I'm a native of Wisconsin and resident of Harvard's hometown (Cambridge, MA), consider me most partial to Centre College as the place my parents met. That august institution also holds the relevant distinction of winning "one of the greatest college football upsets in history," by beating then-mighty Harvard on their home turf in 1921. While very rare today, we know a few things about how Varsity Sports was distributed. 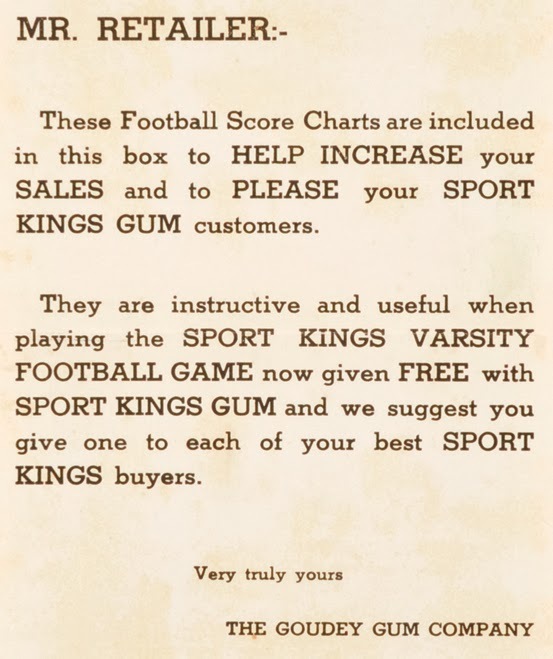 Sport Kings Gum buyers could swap their wrappers at the candy store for individual cards and "score charts," which Varsity Sports players used to track game progress. 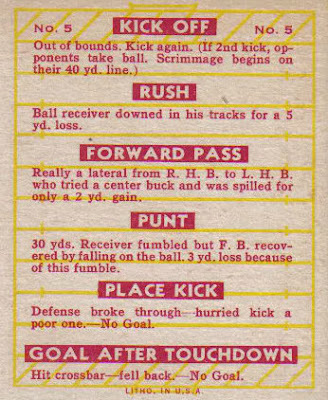 All 24 Varsity Football cards feature a different collection of play outcomes, which you'd match to a given situation and track on the score chart. I've never seen score charts in the marketplace, so it's up to us to imagine exactly how it'd be played. My guess is that players make the choice to rush/pass or punt/place kick from different spots on the field and flip cards face up to see what happened. You'd need a way to track down and distance and some sort of timer or allowed number of possessions. If you've ever seen a Varsity Football score chart, rules, or relevant scan, let me know! I'd love to know more about how such a set came to be. If the concept of this "flip to play" game sounds familiar, it might be because Goudey repurposed this concept on a larger scale for their 1936 Big League Gum baseball set. While scarce, they're much easier to find today than Varsity Football. 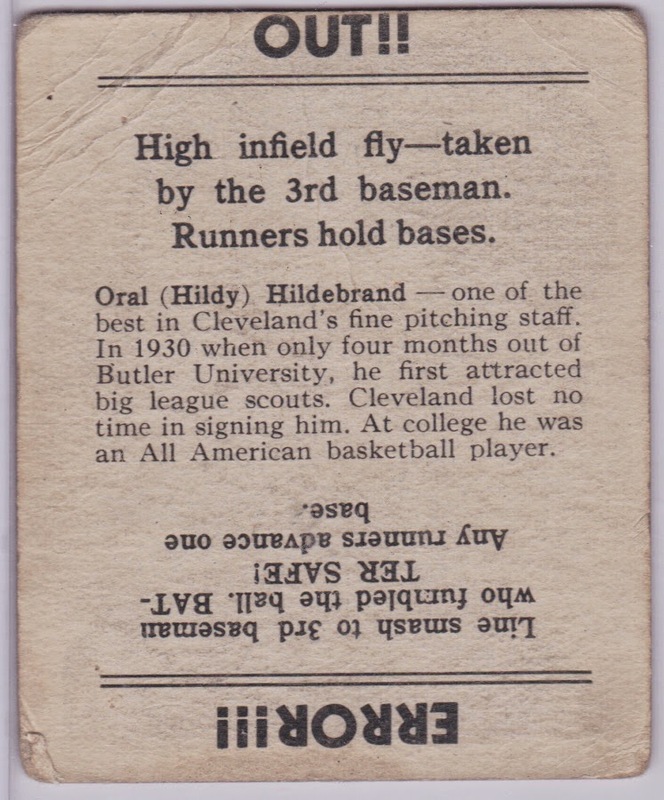 Read my profile of Goudey's 1930s Customer Loyalty Programs for a deeper look at how their sets fit together. Value: Haven't put my hands on a #5 type, but eBay singles open at $20-50 for Buy-It-Now. That BIN price feels high, considering a complete 24-card, mid-to-nice condition set auctioned for $200 in 2013 and another near-set (21/24) also finished at $200 in 2012. I suspect auctioned singles would finish at $10-20.